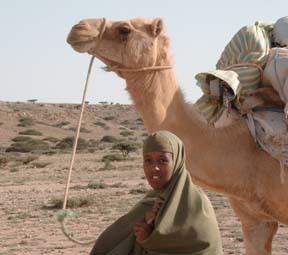 Somalia is llittle known and even less understood. The great majority of people long for peace after more than a decade of instability. There are many groups working for peace in Somalia including the members of SomaliaPeace.net. We will post regular bulletins of our activiteis on this web site so keep visiting us for regular updates. Tell your friends about the SomaliaPeace.net web site. Encourage them to learn about the work of SomaliaPeace.net's members. Encourage your friends, your own government officials, United Nations officals, your own local newspapers to take an interest in Somalia. The news in the mainstream media about Somalia is strongly and unfaily negative. Encourage a more balanced view of the country. This web site is maintained by SomaliaPeace.net's members. We are small local non-governmental oganizations working in north eastern Somalia. Our web site is simple, but we hope you have found the information provided useful. Please contact us with your comments and views and what you would like to hear more about. We plan to have a discussion page on this web site where people can exchange views. More importantly we hope the you join us working for peace. Alternatively you make make transfers to our somaliapeace@somaliapeace.net email address using the secure transfer facities of the electronic money transfer companies PayPal or ProPay. You will find infomation how to do this on their web sites www.paypal.com and www.propay.com.